Changing laws, regulations and economic conditions are making the corner drug store into a different kind of place. That includes a place where you can get services once available only from doctors. A new state law taking effect in April says health insurance companies can pay pharmacists for doing things like diabetes screenings and medication consultations. U.S. Senator Sherrod Brown says that puts Ohio in line with a growing number of states where pharmacists are taking on limited care provider roles. And he says that can help make healthcare more affordable. Brown says he and a bipartisan group of fellow senators are working on anti-price gauging legislation as well. A new audit commissioned by Ohio’s Medicaid program shows that there’s a nearly 9 percent differential between what the state pays the two companies managing Medicaid pharmacy benefits and what those companies pay pharmacies for those drugs. Statehouse correspondent Karen Kasler reports the head of the office that manages Medicaid isn’t ready to say whether that’s appropriate or a rip-off. 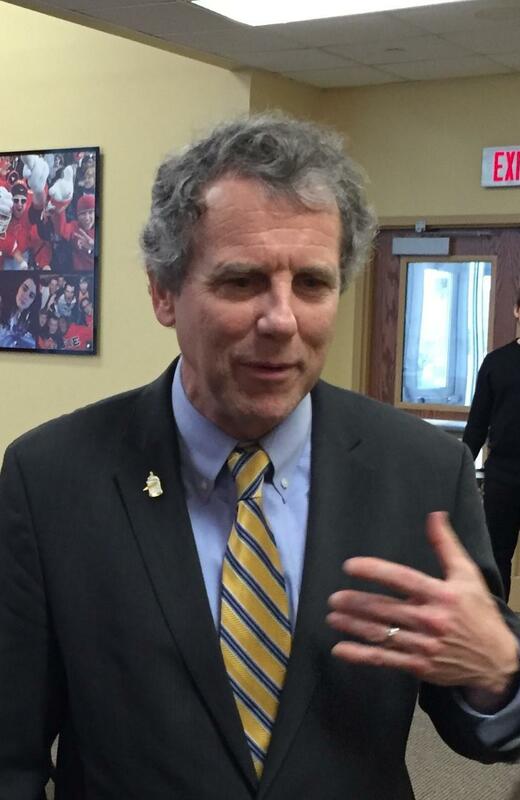 Senator Sherrod Brown is welcoming President Donald Trump’s signing this week of two bills aimed at getting consumers better prices on prescription drugs. He says he’s hoping for similar bi-partisan action to rein in what he sees as another significant driver of healthcare costs. The measures signed into law this week are meant to create prescription cost transparency for consumers so they can find the lowest prices.